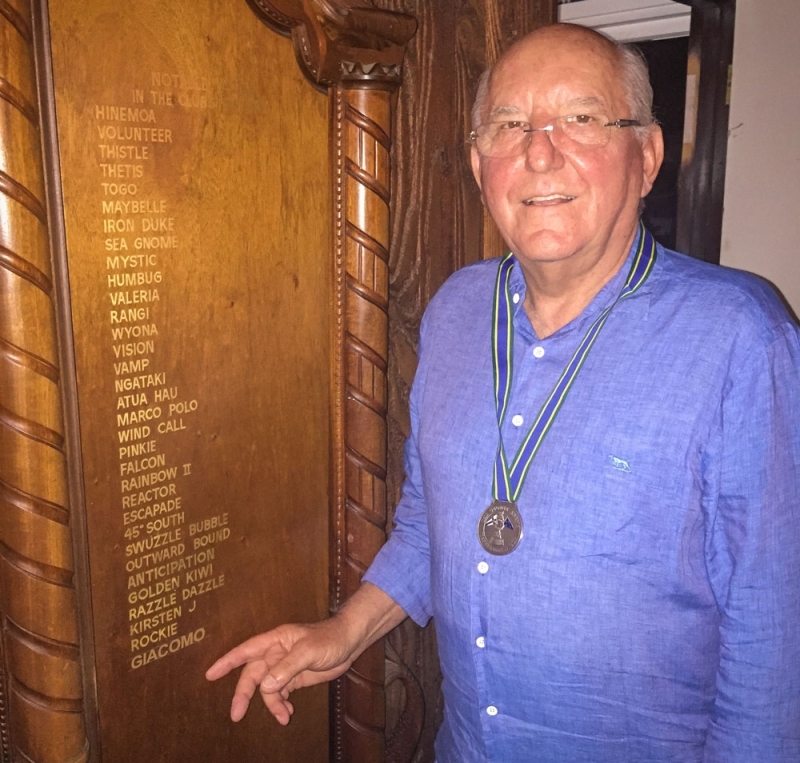 Not since the late 1980’s has a yacht been added to the Notable Yacht’s honours board which now hangs proudly in the Auckland Sailing Club building. But on Saturday evening the 1st April, Jim Delegat’s Giacomo was unveiled as a Notable Yacht with the name scribed in gold leaf on the honours board. Commodore Sally Garrett made the presentation to Delegat and his team at a celebration party held at the club honouring the outstanding achievements over the last four years and especially their win in the 2016 Rolex Sydney Hobart Yacht Race where they took home to Tattersall’s Cup for first overall. Jim was honoured to receive the achcknowledgement and thanks RAYC and the members for their ongoing support of Giacomo and their campaign. “We’re been very proud to have the Akarana burgee on the back of the boat for the entire campaign. Thank you to everyone who supported us,” said Delegat. In the coming weeks more boats will be added to the line up of Notable Yachts after a very careful selection process.